Today we present the annual NYCTaper Top 10 Concerts of the Year, a totally subjective list of the shows we saw in 2009 that we felt were the highest quality performances of the many we saw. I estimate that I attended approximately 120 shows this year, up quite a bit from last year. That NYCTaper’s concert of the year actually took place a couple of hours north of NYC should say something about this show. One of the world’s best bands on a wonderful summer evening in the country played over two and half hours of superb music. This is also one of the most popular downloads on the site this year. The day after Merriweather Post Pavillion was released, AC performed an intimate show at one of NYC’s best venues. The sound and performance were quite amazing, and based on the number of downloads (more than 23,000) of this recording, I guess we did pretty well too. This was a very special night for the band and they delivered the performance of their lives (thus far), with absolutely breathtaking versions of the Hospice material. As the culmination of years of hopes and dreams and expectations, this night was perhaps the most rewarding experience of the year for nyctaper. This Sunday night show was the third show of the Feelies three-show “tour” in support of the re-issues of their first two classic albums. On this night, after a lukewarm first set, the Feelies returned to the stage and delivered one of the most remarkable sets we saw all year — one that included an unprecedented five returns to the stage for the performance of ten encores. On the final night of yet another highly successful tour, the Mountain Goats performed at the outstanding and intimate venue Bell House. John delivered the goods, too, with a ton of older material, a rare cover, and three returns to the stage for five encores. A solo Sam Beam show is a special event. A solo Sam show in a classic 100-seat capacity theatre on the Lower East Side is yet another. This night was special for all the right reasons — an intimate performance of fan-chosen material by an artist of unique gifts, including his better-than-the-original cover of the Flaming Lips “Waiting for Superman”. The superb young Canadian band made its first trip to NYC and absolutely floored the entire crowd lucky enough to be in the basement that night. As they performed primarily material from the album of the year candidate Everyone All at Once, the musical proficiency and songwriting skills of this soon-to-be-huge band were breathtaking. On this special night, Steve took a look back twenty years and performed the classic Dream Syndicate album The Medicine Show from start to finish. The performance was remarkable for its energy and commitment. The band carried the energy into a raging encore set that was only completed due to a curfew. It was not enough for the Decemberist to perform their excellent new album The Hazards of Love in its entirety at this show. The band then returned for a second set of career-spanning material before giving the crowd the truly wonderful gift of a dead-on cover of REM’s “Begin the Begin” with Peter Buck on guitar. Sara Kermanshahi is a singer-songwriter of immense talents. I expect we’ll hear a lot from her in 2010. On this particular night, she shined with such intensity that we were literally moved to emotion — and in particular by her cover of Nico’s “I’ll Keep It With Mine”. 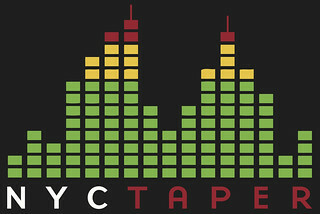 Coming soon, NYCTaper’s top five NYC venues of 2009 and our top ten individual live performances of 2009. Thank you for all your hard work. I was at the Feelies-show in Brooklyn (and in Woodstock the previous night, flew in from Belgium to see them) so you can imagine the pure joy of finding an excellent recording of it within the next few days. Since then, your site has been my favourite on the net. For this I just donated 25 dollars, it just doesn’t feel right of enjoying the fruit of your (and acidjack’s) hard labour for free. Thanks for sharing so many great shows from 2009 and all the best for 2010. Thanks NYCTaper for your excellent and exhaustive work in 2009. Thanks for putting this list together and thanks for including Natureboy.